Kohli, opened up for the first time since the World Cup exit, after which his filmstar girlfriend took a lot of unncessary flak in various social networking sites. Kohli was unusually open during his interaction with media today as he didn't forget to mention his performance during the past five years. "Personally, I was very disappointed. In last five years, the number of matches I've helped India win and the consistently I've played is more than anyone else in the team. I don't think there's anybody else in the team who has done better than me," Kohli answered with same swagger that one finds in his batting. 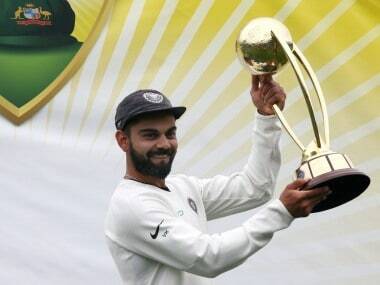 Kohli feels that now he knows "whom to trust" after the public outrage over his poor show against Australia in the semi-final of the World Cup. 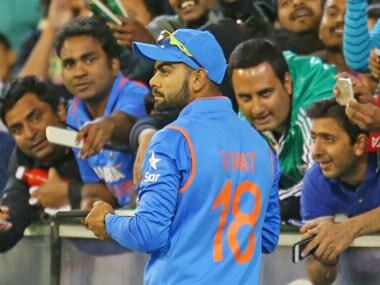 "To see those reactions after just one match was very disappointing for me personally. It makes you lose faith in a lot of people. It's a good thing in a way. You get to know who's with you and who's not. It was not in my control. 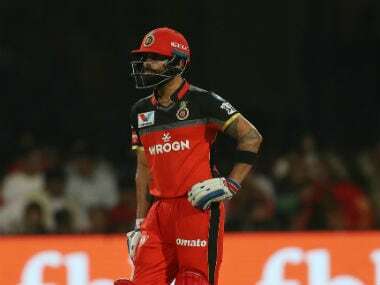 But the reactions were very disappointing," Kohli said at the function where RCB announced its tie-up with home appliances brand Midea. Taking a dig at the media, Kohli sarcastically remarked that there are different parameters for different players when it comes to dip in form. "It's funny that I never know when my rough patch comes but you make the judgement. 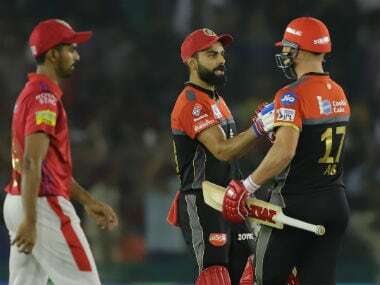 In my case, if I don't do well in two games, it's dip in form but if some other player performs two games out of 10, they come back in form," Kohli was at his sarcastic best.